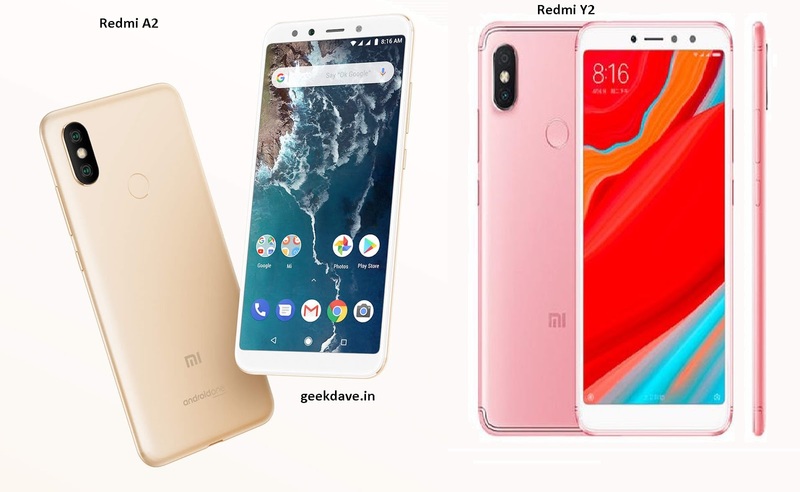 Xiaomi Redmi Y2 with 32GB version costs around 9999inr in India which is around 145.56USD right now. Update: price for indian market is around 16,999 which isn't worth it. Redmi note 5 pro is the best bet here. Xiaomi Mi A2 cost around 14000inr in UAE market right now which is around 203.74 USD. The official price for Mi A2 will be revealed on 8th August 2018. Both phones are looking very similar by design and build quality but they differ when it comes to spec scenario.